Peel and halve the red onion and cut into very fine half-moons and put in a small bowl to steep with the lime juice, to bring out the transparent pinkness. 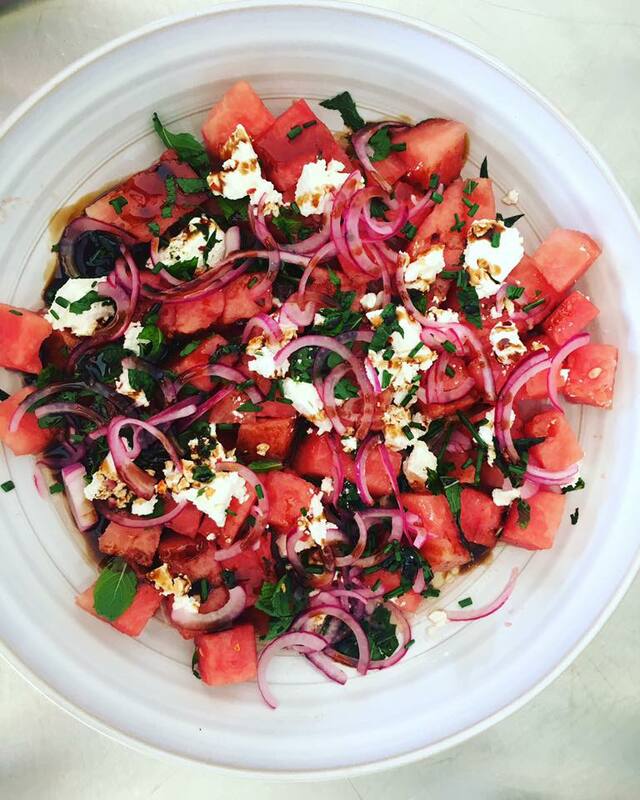 Tip the onions, along with their pink juices over the salad in the bowl, add the oil and olives, then using your hands toss the salad very gently so that the feta and melon don't lose their shape. Add a good grinding of black pepper and taste to see whether the dressing needs more lime.